The design is 18" x 18" and features a beautiful juicy Cherry. This creation is made easy by the use of grid interfacing. Row by Row sales will begin June 21st, 2019. Linda Mead our owner has written this little tune for our Musical Row this year to sing while you stitch! 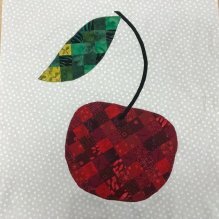 Of course included in our row are Cherries one of the things Cherry Country Quilters in known for. Kits go on Sale June 21st. This Year our 9th Row will be in support of Leelanau Christian Neighbors. This facility located in Lake Leelanau supports a Baby Pantry, Blessings in a Backpack, Food Pantry, PoWerBook Bags and local support for people in need. Please consider purchasing this row to support this wonderful cause. 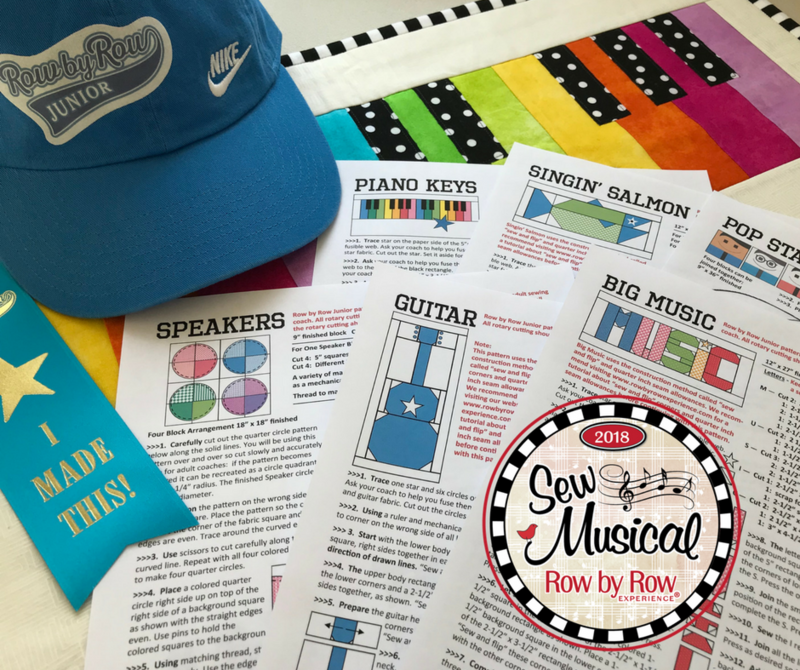 Junior Row by Row Patterns have been chosen and will be available on June 21st - September 4th. Much has changed this year with the regular Row by Row. The Rows will be different size shapes, we will have our classic 9 x36", Short and Sassy 27 x 6" and Foxy Boxy 18 x 18". It will be your job to put the shapes together to make the winning quilt and present it to your shop! Also new this year there is no Hibernation Period from Sept 4th - Oct 31st. More to come on what our Row will look like. June will be here in a blink of an eye!